The developer of Salt & Sanctuary got very lucky. 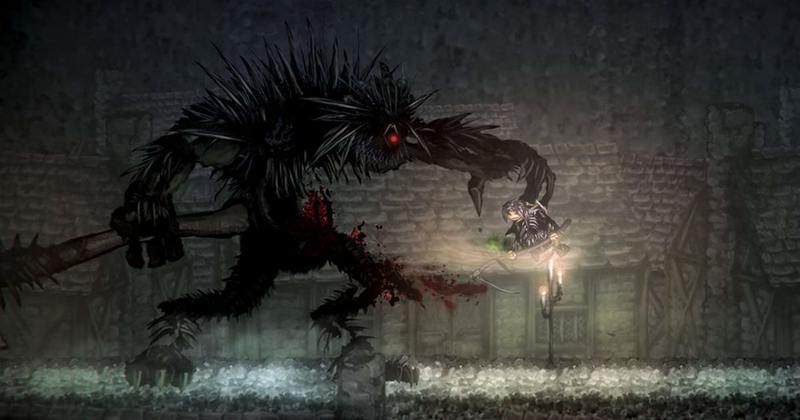 The Dark Souls remaster was meant to be the first Dark Souls-like game on Nintendo Switch, but with that apparently stuck in limbo, Salt & Sanctuary gets to be first to the table instead. 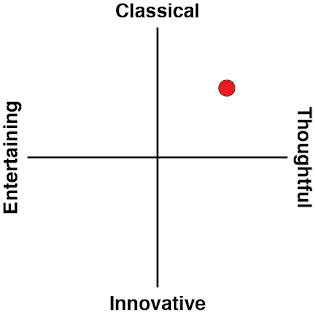 It'll probably do quite well for itself, too, since the game is quite decent. 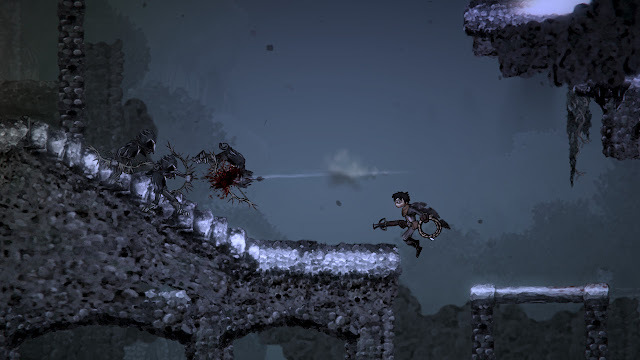 Salt and Sanctuary is exactly what you would expect if someone told you a developer had taken Dark Souls and turned it into a 2D platformer. Set in a grim, dark world you explore labyrinthine level design, fight of devilish traps and enemies, and hunt out for the occasional area to light a torch and take a rest. Then you'll push further, unlock a door that allows you to bypass entire sections of the dungeon when you need to backtrack, and fight a brutally powerful boss. Defeat it, and push on. Rinse and repeat. What makes Salt & Sanctuary better than some other "Souls-likes" is the effort that the developer put into truly understanding the level design of this pseudo-genre. You'll regularly find little trinkets glittering in the darkness that are initially out of your reach, but you'll just know it's worth figuring out how to reach them for the loot. There are secret passages everywhere, and intricate patterns of pathways and platforms that really help to sell the sense of creeping through dark, atmospheric dungeons. What I've always liked about Dark Souls is the environment design and the way it captures the thrill of exploration. I never expected that it would convert to two dimensions quite as well as it has in Salt and Sanctuary. 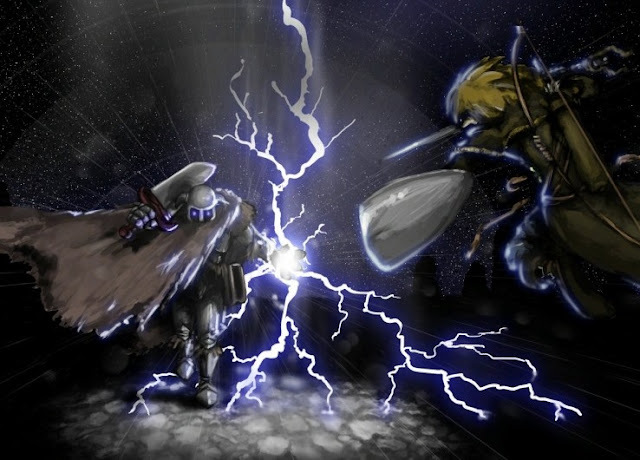 Where the developers of Salt and Sanctuary have struggled a little is in creating the same sense of narrative that the Dark Souls series. It's hard to blame the writers, because it's an incredibly difficult thing to do, but From Software's ability to build a sense of lore and heritage while using a minimum of dialogue and cut scenes was critical to Dark Souls, because that game tells a hell of a story. When players didn't have explicit storytelling to rely on, they started paying more attention to the environment design, the items they picked up along away, and any other number of small clues. As a result, Dark Souls' designers could put a staggering amount of depth and detail into every nook and cranny of the game, knowing that deeply engaged players would seek it all out. In contrast, Salt & Sanctuary understands that it can't rely on explicit storytelling, but really struggles to give players enough of a reason to play close attention to what's going on. With that being said, I can also see that Salt & Sanctuary will appeal to a number of players that might not be as invested in something like Dark Souls. The shift to 2D will make the flow of the game instantly familiar to fans of the "Metroidvania" formula. It's a little different in the sense that the typical Metroidvania will lock areas off until you've earned a specific ability to allow you to reach them, where Salt and Sanctuary is more open from the outset, assuming you're good enough to deal with the dangers and difficulty level. There's a skill tree to unlock as you play, but because the developers can't be sure exactly how you're going to develop your character, your path through the environments are fairly standard. Despite that, Salt and Sanctuary and Metroidvanias share a similar approach to exploration - and a similar sense of reward when you're finally able to get past a challenge to find a new area. 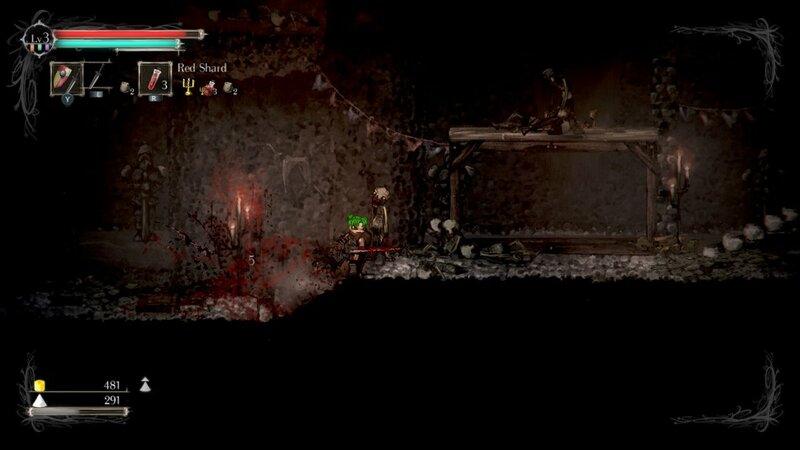 Unsurprisingly, the very best moments in Salt and Sanctuary are the boss battles. These creatures are all designed with the most incredible eye for the horrific, and are intimidating and immense in scope from the outset. They make up for the common enemies that you'll fight between them (which sadly, can become a little dull on the eyes), and each is difficult enough that you'll probably need a few goes to defeat each. Sadly, the shift to two dimensions also leaves those boss battles a little underdone in terms of their attack ranges. One of the great things about the Dark Souls games is the way the bosses filled the spaces and then used them; the environments themselves were often part of the battle, and needing to be aware of that was a clever and subtle way of reminding you that your role in the game is that of a trespasser. When the environments were so darkly exotic that they were effectively a character in their own right, it only made sense that the character wouldn't take a back seat just because you'd entered a boss battle. Salt and Sanctuary tries hard, but can't quite get there, owing to the limitations of the 2D format. Bosses fill the screen and have terrifying abilities, but they're just not supported as well as they could have been from the environments. Gary Gygax, the creator of the original Dungeons & Dragons, once said "There is no winning or losing, but rather the value is in the experience of imaging yourself as a character in whatever genre you're involved in, whether it's a fantasy game, the Wild West, secret agents, or whatever else. 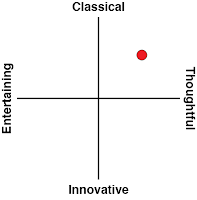 You get to vicariously experience those things." The Souls games have always been good examples of the Dungeons & Dragons philosophy in motion, and not just because of the intricate dungeon crawl design, and Salt and Sanctuary is no different. Each time your character "dies", you're taken back to the nearest rest spot without any of the accumulated experience, but otherwise completely intact. That loss of experience isn't a punishment, either, but rather an incentive. You're given the opportunity to get back to that place and recover the experience by overcoming whatever challenge previously defeated you. In this way, these games are all oddly upbeat and offer players positive reinforcement, despite their melancholic atmosphere. You'll feel like you're making progress each time you defeat something that previously bested you. You may well only make it a few further steps down the road, but it'll be progress, and "deaths", such as they are, never feel like failures. This has proven to be an influential approach to game design, because it almost behaves like the game is working collaboratively with the player to help push them through the experience, and it's the stronger for it. Salt and Sanctuary is a solid homage to its blatant source of inspiration. It doesn't supplant its predecessors, but it does an admirable job nonetheless, and offers players a moody, intricate, and fundamentally enjoyable dark fantasy experience.